Our Partners like our shareholders are very important to us. They have all kinds of great things happening and here is where you can find their latest news! Click on the icons to be directed to any of our partners' websites. Like a community supported fishery, community supported agriculture is an important way to support the local economy. It's also the best way to eat a wide variety of fresh, seasonal produce. Community supported food programs are a completely different way to experience cooking and eating that allows us connect directly with our food source and to eat fresh, delicous, and wholesome food that is unlike any other. Lexington Community Farm offers a Pick-Your-Own Flower CSA as well as a traditional produce CSA. Their farmstand is stocked with their own fresh organic produce as well as other great local food items. They also offer a variety of educational programs and have a Learning Garden for hands-on experience for all ages. 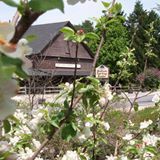 Located in Newbury, Colby Farmstand is a great stop for local produce, groceries, baked goods, meats, and dairy products. They sell their own vegetables both at their farmstand and through a CSA. They also sell their own antibiotic- and hormone- free fresh and smoked pork. Visit Codman Community Farms and see their cows, sheep, pigs, chickens, ducks, and rabbits. While you're there, pick up a dozen of their own free-range eggs or their grass-fed, antibiotic- and hormone-free beef and pork. The Moose Hill Wildlife Sanctuary in Sharon is Mass Audubon's oldest and largest wildlife sanctuary. It has 25 miles of hiking trails, a summer day camp program, nature-inspired art exhibits, and even an organic CSA in the summertime. Visit their website for a list of all their seasonal events and programs. Heirloom Harvest Community Farm, located in Westborough, offers a certified organic CSA program. They offer 8-15 kinds of vegetables each week over a 22-week season. You can expect to find anything from kohlrabi and greens to watermelons and pumpkins. Visit their website for more information about their healthy and delicous produce. There are many reasons to visit Jones Farm, located in Chelmsford. Hike through their beautiful Community Garden, shop at their weekly farmers market, or pick up some of their compost and mulch for your home garden. Make sure to visit the farmstand for fresh and local produce and meats. 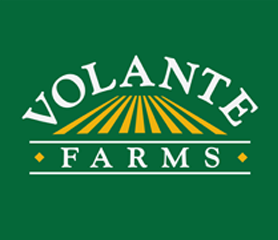 Located in Needham, the Volante Farmstand offers a wide variety of homegrown and local produce and groceries, craft wine and beer, and local cheese and dairy items. While you're there, get a sandwich at their deli or an ice cream at the seasonal ice cream stand. Annuals, perennials, and vegetable transplants can be purchased from their greenhouse. Bolton Spring Farm is located in a beautiful historic barn built in the 1800's. Their farm stand offers a wide variety of homegrown and native fruits and vegetables, as well as gourmet foods and beautiful gifts. Visit during the fall for pick-your-own apples and delicous homemade apple cider doughnuts, or stop by during the holidays to pick out a Christmas tree and custom wreath. Located at the corner of Kirkland and Oxford Street in Cambridge, this diverse farmers market will suit all your food needs, from produce to baked goods and everything in between. The Beverly Cove Improvement Association is an organization that brings neighbors together through events, classes, and programs. Check out their calendar for everything from Baby Boot Camp to Irish Dancing, or rent the Community Center for an event of your own. Community Servings is a wonderful non-profit organization that delivers medically-tailored meals to individuals who are homebound with acute and life-threatening illnesses. They depend on volunteers and corporate and business sponsors to help them make and deliver 9,600 dinners and lunches per week. Visit their website to make a donation, become a volunteer, or just to check out their fantastic recipe collection.